Saturday morning, Jan 5, I headed out early with my Jeep stuffed full of furniture to take up to by best friend and favorite Raven Lunatic Chick Kathie S. who is wintering in Fallbrook. I was feeling under the weather and concerned it might be flu coming on so headed back home shortly after dropping off the furniture. 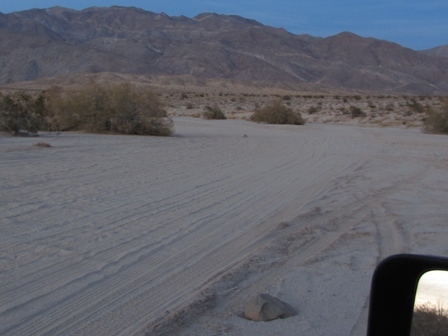 Rather than taking S-2 back to Hwy 78 I went through Ranchita and dropped off of Montezuma Grade into Borrego Springs. 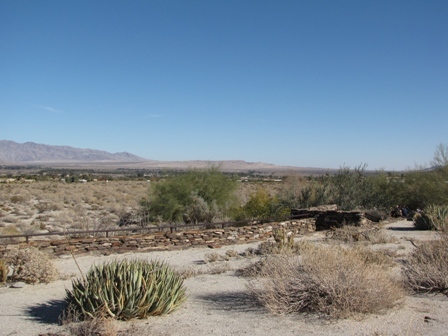 Borrego Springs, Font’s Point and the Santa Rosa Mountains from Montezuma Grade. 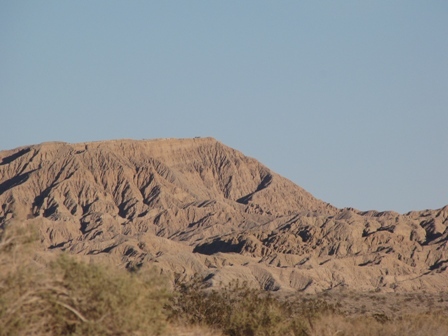 Borrego Mountain, Salton Sea, Imperial Valley, Algodones Dunes and the Chocolate Mountains. Pulled into the Anza-Borrego Desert State Park visitor center for a quick stop and ran into just about every person I know in Borrego! 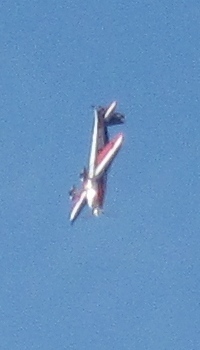 Visited and birded for a bit and then, still a bit queezy, I headed away from the crowds. 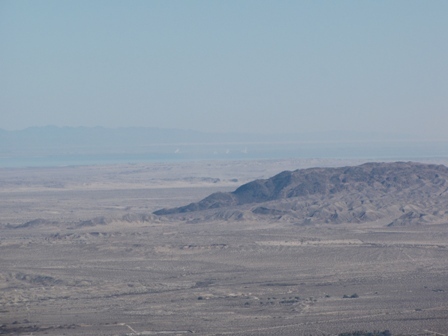 Font’s Point from the roof of the Anza-Borrego DSP visitor center. 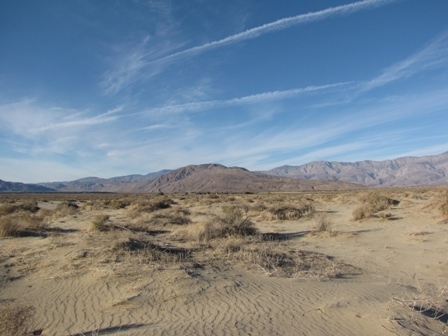 Picked up a bite to eat at Jilberto’s in downtown Borrego Springs and sat at the entrance to Old Springs Open Space Preserve (OSP) for awhile to enjoy it. Feeling a bit beter I spent about an hour walking .75 miles through the dunes. 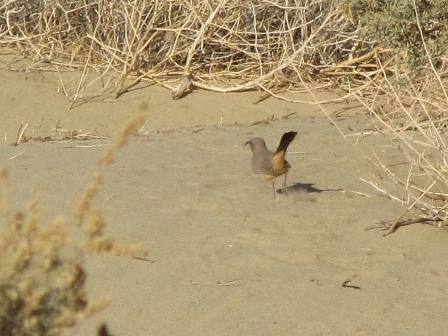 Had a pair of LeConte’s Thrasher, several Sage Sparrow and House Finches in the dunes. 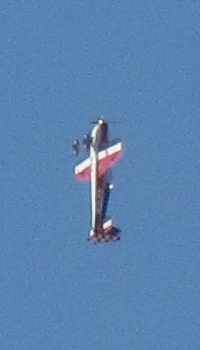 This stunt pilot was practicing while I ate luch. 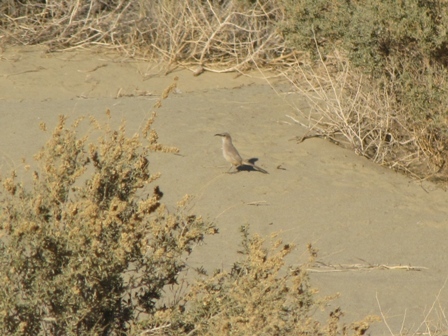 LeConte’s Thrasher habitat at Old Springs OSP. 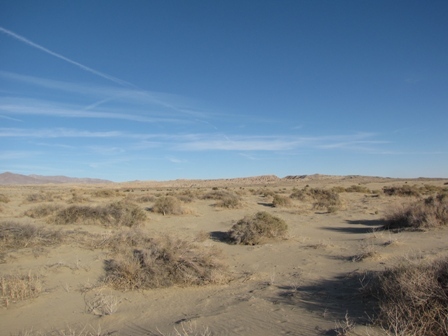 Coyote Mountain at center to the north. LeConte’s Thrasher habitat at Old Springs OSP. Font’s Point at center to the east. 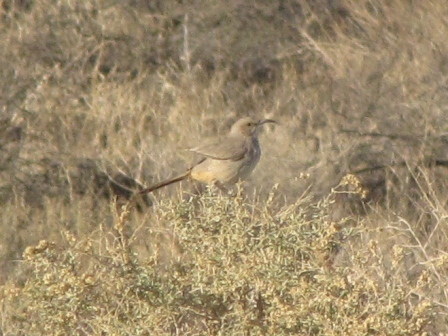 LeConte’s Thrasher warming it’s back. 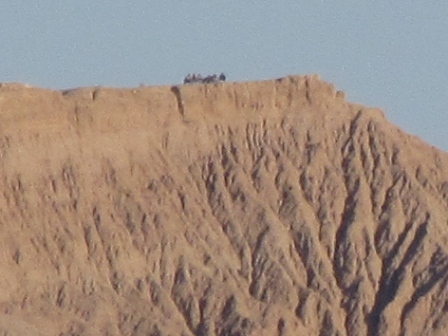 This is a zoom of the previous picture and you can see about eight people near the cliff top! 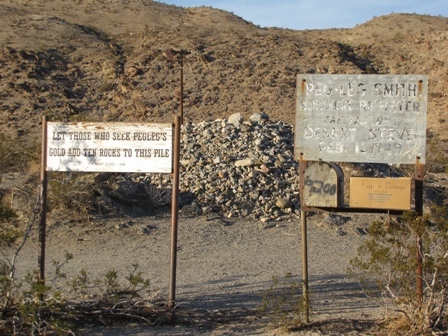 Then headed out Borrego Salton Seaway and made a quick stop at the Pegleg Smith Monument. 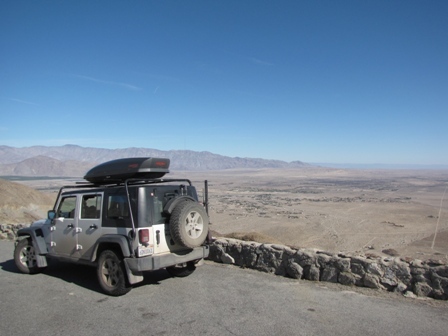 Then slipped into 4×4 and drove south up Inspiration Wash to where it tops out and drops into the Borrego Badlands. 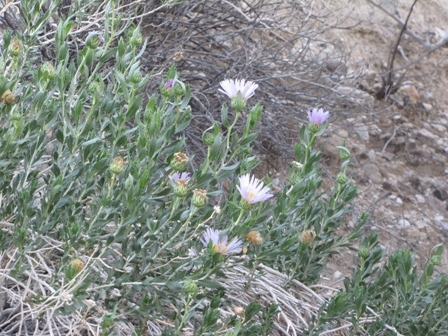 Borrego Aster in Inspiration Wash.
Then back to pavement and slipped into 4×4 once again to head up Font’s Wash to Font’s Point. 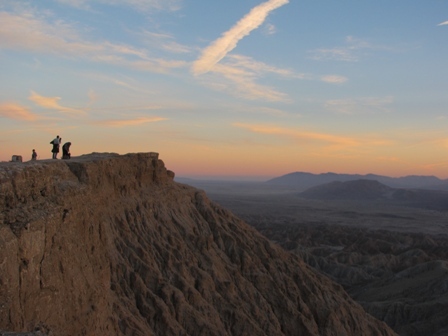 Font’s Point is one of the “must see” places in Southern California. It is named after Father Pedro Font who was chaplain of Juan Batista de Anza’s expedition in 1775-76. There were about 40 or more folks already there along the cliff to catch a gorgeous sunset. 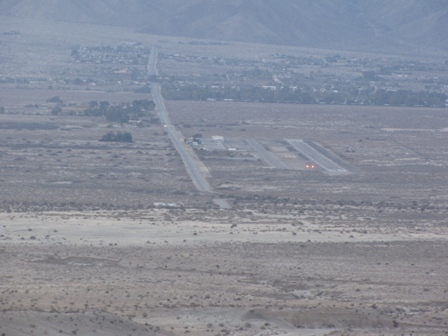 Old Springs OSP and Borrego Springs Airport from Font’s Point. ABDSP vicitor center at foot of distant mountains. Font’s Point. 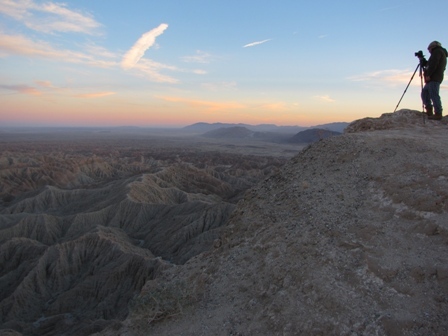 Borrego Badlands below. 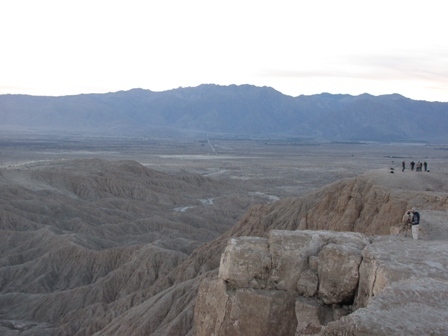 Borrego Mountain and Fish Creek Mountains beyond. As I drove the way back down Font’s Wash there was a Kit Fox in the wash and not quite enough light to get pictures of it. 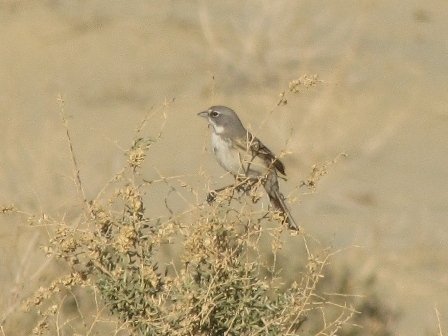 I squeeked a bit and it came straight to me but about 100 feet out a vehicle came down the wash and it slipped off into the desert. Spot in middle of road is a Kit Fox seen on the way out. 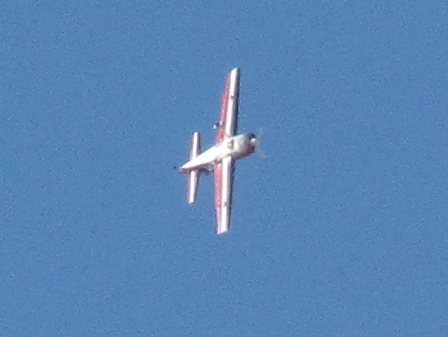 More pictures from the day, with map locations, can be seen at my flickr page by clicking the following link. Made it home about an hour after sunset feeling much better!